Love the one-of-a-kind taste of Bubble Yum bubblegum, but want to skip the sugar? 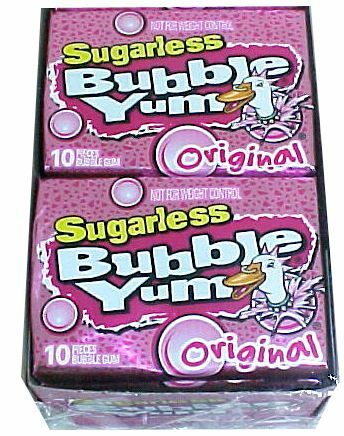 Treat your taste buds to the finest bubblegum flavor available – Bubble Yum sugarless gum! 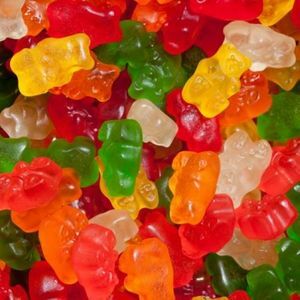 Each chubby piece will make your mouth water with that classic flavor you love, and your teeth will love that it’s sugar-free. Great price, easy ordering & very timely shipping. Could not ask for anything more. 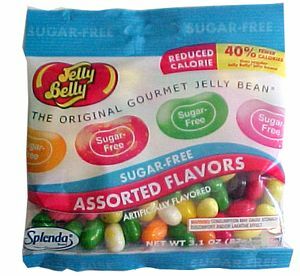 Great purchase, bought 4 10 pack packages, we all chew sugarless, and we can't find this gum anywhere in the retail market anymore. Y'all are my new best friends. This is my favorite gum for many years. My 25 year old granddaughter visited me a few weeks ago and noticed my box of bubble yum on the shelf. She said wow granddad, I remember when you used to give us this gum when we were young!! Bubble Yum has been in my family for years. One of the things that is not well known is this gum will not stick to your teeth. I wouls think it would act the same way on false teeth but I do not know for sure. tasty gum.You need 2 sticks in order to blow big bubbles.Peppermint Bubbleyum very tasty& taste would last a long time.Could blow good bubbles with only 1 stick of peppermint.